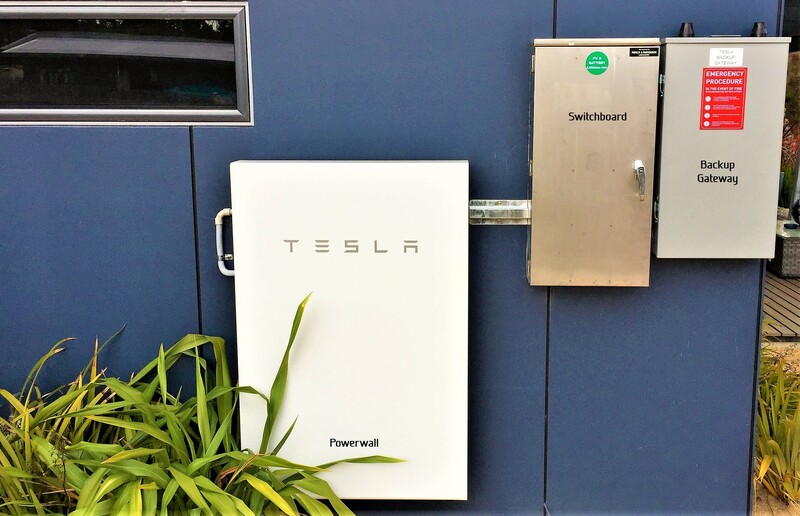 MODE is your Tasmanian Tesla Powerwall Certified Installer. We take care of everything from system design to installation. Powerwall 2 consists of a 13.5kWh lithium-ion battery pack, liquid thermal control system, an integrated inverter and software that intelligently dispatches electricity when it’s needed most. The unit mounts seamlessly on a wall or on the ground, indoors or outdoors, and is connected to the grid to export excess energy. Increasing self-consumption of solar power generation: Powerwall can store surplus solar energy during daylight hours and use that energy later when the sun is not shining. Load shifting: Powerwall can charge during low rate periods when demand for electricity is lower and discharge during more expensive rate periods when electricity demand is higher. Back-up power option: Assures power in the event of a grid outage. Backup Gateway automatically detects grid outages and provides seamless transition to backup power. 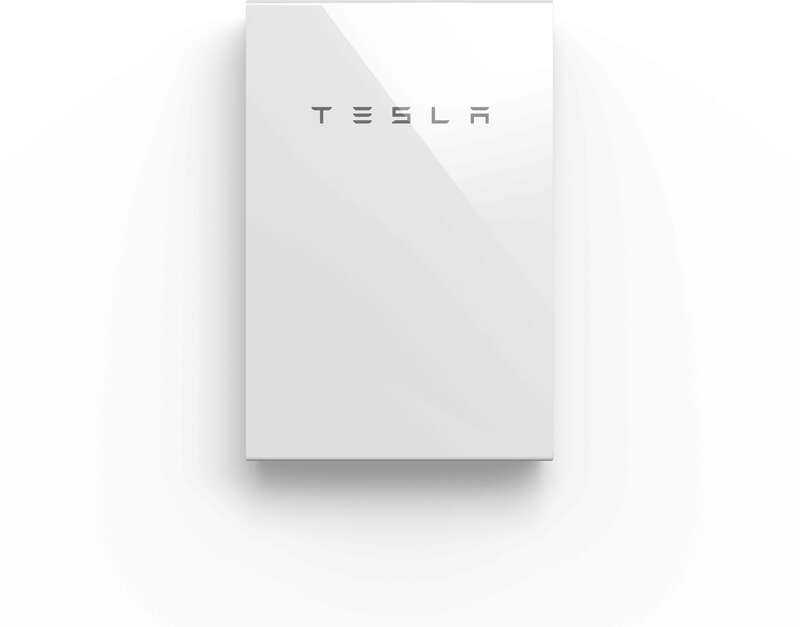 Backup Gateway communicates directly with Powerwall to control connection to the grid, providing energy management and monitoring from any mobile device with the Tesla app (see below). You will be able to draw energy from both your solar and Powerwall. Backup Gateway looks like your switchboard, and needs to be installed near your exiting switchboard, as shown in the picture below. Powerwall can be located away from the switchboard if required. 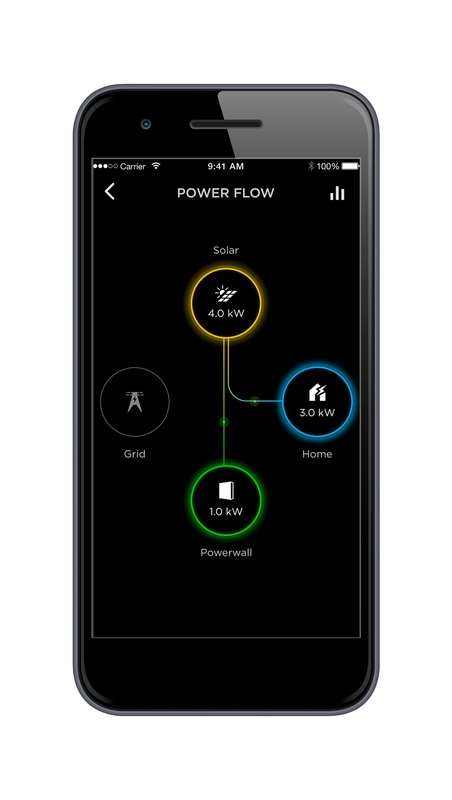 The Tesla app for iPhone or Android enables you to remotely monitor and control Powerwall. It can be downloaded to your smart phone or tablet. After downloading and installing the application, use your Tesla account email address and password to connect your Powerwall. For further information see the Tesla App page. To help you decide whether battery storage is right for you we have put together some information and answers to frequently asked questions on our Solar Power Hybrid page. The workmen who installed your panels were extremely professional and respectful of each other and us, as the customer. I would highly recommend your business to my friends. Thank you.